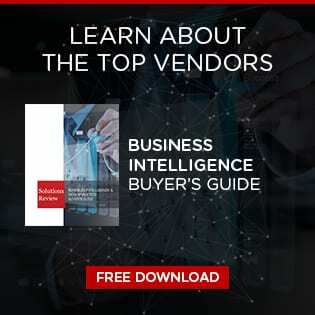 Business intelligence adoption leads to a 24 percent increase in sales, according to new research by IQBlade. The UK-based market intelligence platform provider released the findings in its Tech Impact ’19 Report. The report is based on the Sunday Times Fast Track 100, a collection of the UK’s fastest growing businesses. The goal of the report is to uncover which technologies have the greatest impact on successful British companies, and comparing it against those that are not utilizing them. The average sales among those Fast Track organizations that used BI and data visualization software was £39 million, compared to just £24 million for those that didn’t. The average size of the companies who use data analytics was also higher by roughly 100 percent (228 to 115). In total, 61 percent of the Fast Track companies are using BI and visualization solutions. The percentage of the UK’s fastest-growing companies using these tools is three-and-a-half times greater than other UK companies in general. We’ve seen proof before that data analytics provides a competitive edge. Wide in-enterprise dispersion of analytical capabilities and a strong focus on specialized applications are the driving force behind obtaining an advantage. The main factors behind gaining a competitive edge from data and analytics are buoyed by recent advances in technology, including the proliferation of cloud analytics and distributed storage. These innovations have fostered widespread organizational adoption that has pushed analytics into the mainstream. The study also found there to be an 8 percent difference between organizations that utilize BI and those that don’t, over a three-year period. The Fast Track companies that take advantage of this trend see an average of £15 million in additional sales per year. Progress Software is the most popular BI tool among these companies, with 26 percent adoption. 14 percent are using Tableau Software, while Qlik (8 percent), IBM Cognos (7 percent) and Alteryx (3 percent) were the others mentioned in the study.